Karnataka Chief Minister H D Kumaraswamy and Congress leader and former Chief Minister Siddharamiah are at it again over presentation of the budget. After lying low for a while, following Congress president Rahul Gandhi’s support to Kumaraswamy over presentation of the JDS-Congress coalition government’s first budget, Sddharamiah has once again repeated his objections. This time though it was not through a public forum but within the confines of a rejuvenation centre where he had gone. It was while talking to some Congressmen in his room that he expressed his reservations over the presentation of a fresh budget. He reiterated what he has been harping on earlier ~ that he, as the outgoing chief minister and finance minister, had already presented a full-fledged budget a few weeks before the assembly elections. Accordingly, his argument was that the same budget and the programmes that had been outlined should stay. All this would have been fine except that one of his supporters, perhaps in misguided belief, leaked the video of the meeting. Predictably, it has created quite a stir since then with Kumaraswamy making his displeasure known. The crux of the issue is more around waiver of farm loans, something that Siddharamiah feels is uncalled for, especially as he himself had taken that step during his regime. Accordingly, he feels that there was no need for the coalition government to repeat that action now. Besides,he argued that farmers needed to be given facilities to improve farm production alongside improved amenities. These comment got Kumaraswamy’s goat and he did not mince words while asserting that he would go ahead with the budget. More so, as it was a new government’s budget. The current development clearly indicates that the presentation of the budget, proposed on 5 July, may not be a smooth affair. Especially, as some senior members of the Congress, who are a part of the coalition, have come out in support of Kumaraswamy. Conversely, Siddharamiah’s supporters in the Congress too have made their views known in public. The controversy,however, cannot be looked at in isolation as Siddharamiah is obviously miffed with the current developments. First, he was against making Kumaraswamy the chief minister, a decision which was forced on him by his party’s central leadership. Secondly, after much delay, he is expected to get a cabinet rank, considering that he heads the coordination committee of the two coalition parties for ensuring smooth governance. 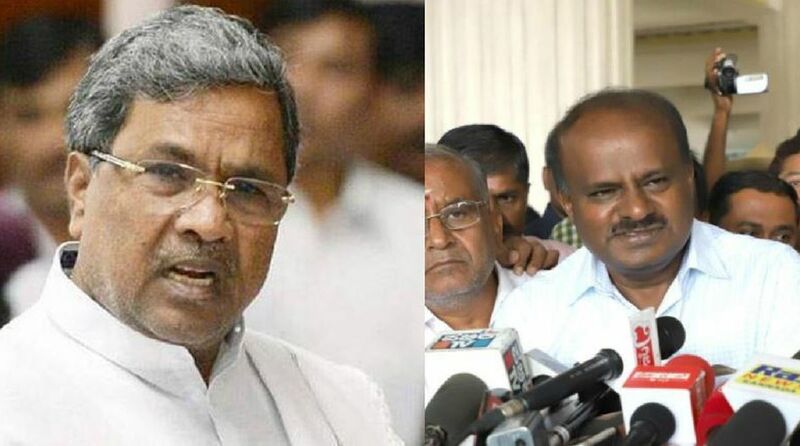 Nevertheless, Siddharamiah and Kumaraswamy, having been sworn enemies, are unlikely to get along. The budget, incidentally, is not the only bone of contention as already a section of Congressmen have started eyeing key corporations to head, something for which the JDS too would be fighting intensely. Many of the Congressmen who were denied ministries would want to exert their power by heading corporations which have a sizeable impact on the exchequer. The fight to be accommodated in these state bodies is unlikely to be tame though the first hurdle for the coalition government would be the budget presentation. How Kumaraswamy manages to get his way would depend on how far he is willing to go to please the coalition partner.